Prime Minister Benjamin Netanyahu on Saturday defended his decision to allow Qatar to pay the salaries of thousands of civil servants in Gaza as “the right step” in order to prevent the humanitarian collapse of the Palestinian enclave. Speaking to reporters As he set off for Paris to join World War I commemorations alongside other world leaders, Netanyahu also said that a sideline meeting with Russian President Vladimir Putin was “up in the air” and distanced himself from police grafting recommendations against former confidants involved in negotiations for The purchase of new submarines from German shipbuilder ThyssenKrupp. Netanyahu said the deal with Qatar, implemented Friday, was backed by both the military and his top-level political security cabinet. 4, as the Palestinian Authority has refused to add to its payroll some 40,000 Hamas public sector employees hired after the Islamists took control of the Gaza Strip in a near civil war in 2007. 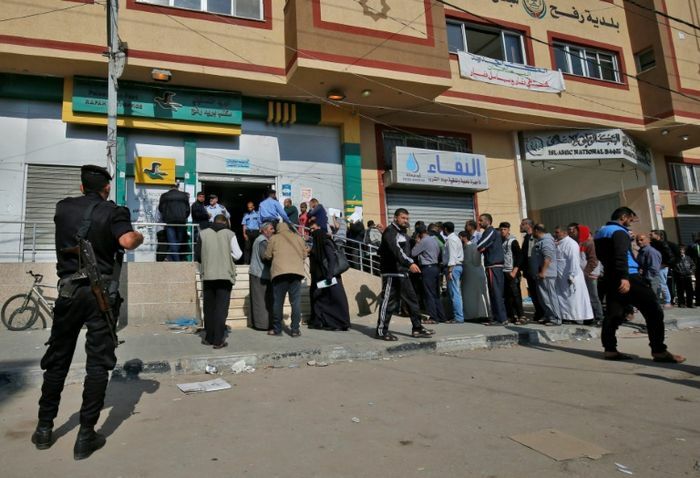 Palestinian civil servants formed long queues in Gaza on Friday to receive Qatari-funded salaries, as part of efforts to ease tensions in and around the impoverished territory. A total of $ 90 million is to be distributed in six monthly installments of $ 15 million, according to authorities, primarily to cover salaries of officials working for Hamas, the Islamic movement that governs the Palestinian enclave. Qatar has also said it would hand out $ 100 to each of 50,000 poor families, as well as larger sums of Palestinians wounded in clashes a Long Gaza’s border with Israel. 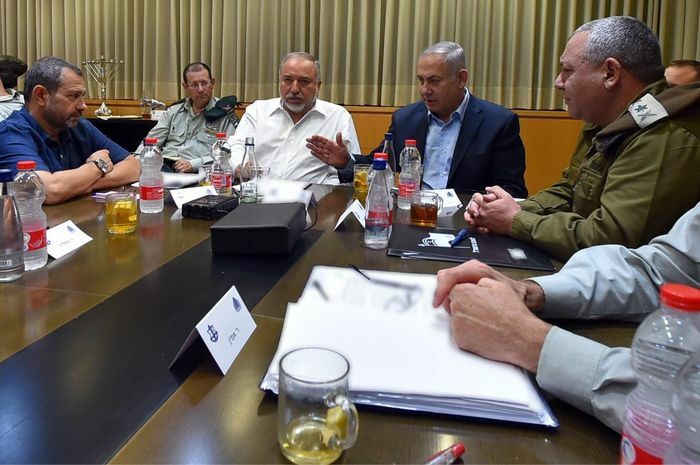 Netanyahu said that he would do “whatever I can” to keep Israelis living in communities adjacent to the volatile border with Gaza safe, while at the same time working to prevent a humanitarian crisis in the Strip – – What experts say would only further exacerbate tensions. Netanyahu’s remarks come as he battles criticism from opposition leadership, while members of his own Likud party reportedly struggle to agree on policy for Gaza. Netanyahu is also facing criticism for a series of fraud allegations and offenses linked to his family members and close associates. On Thursday, Israeli police said The conclusion of a long-running “submarine affair” investigation that there was sufficient evidence to indict David Shimron, a relative of Netanyahu and his family lawyer, of bribery and money laundering offenses.